2012 is coming to an end. It was a busy year and full of interesting events. I am blessed and thankful God gave me the opportunities to be part of many special events this year. I continue serving the State of Maryland as Director, Maryland National Guard Honor Guard. My job is made easier thanks to the great support of my bosses and colleagues, the fine leadership of my staff and the wonderful work of the men and women of the Honor Guard (including our wonderful buglers) who are out every day honoring our Maryland Veterans. also received an official citation from the Maryland General Assembly. In addition I am honored to work with great volunteer musician/citizens in the Maryland Defense Force Band. These men and women have performed for thousands of Marylanders the past year supporting and spreading the message of the Maryland Defense Force and the Maryland National Guard. The musicians in this band are true volunteers in every sense of the word! The band picks up new members every month and I hope we reach our goal of 60 players in 2013! The MDDF Band played at Maryland Freestate ChalleNGe graduations, Memorial and Veterans Day ceremonies, played concerts in Hagerstown and Catonsville, performed at the 150th Taps ceremony at Arlington, marched in the Independence Day parade in Catonsville and performed many Holiday concerts in December. The MDDF Band was awarded the Adjutant Generals Special Recognition Ribbon for three years of meritorious service in performance of duty in support of military ceremonies for the Maryland Military Department. This unit recognition is well deserved to those talented musicians Iâ€™m proud to call my friends and colleagues. I am blessed to have two phenomenal right hand guys who serve as my deputies in the MDNG Honor Guard and the MD Defense Force Band. Dominic Boyd, my deputy in the Honor Guard and Al Bundy, the Bandâ€™s Chief Warrant Officer help keep me on track with my responsibilities. Â One could not ask for better lieutenants. This year was the year we commemorated the 150th anniversary of Taps. This was a project that I have been involved with for some time and am thankful that we were able to do this yearlong observation.Â Numerous events were held including the 150th anniversary ceremony at Arlington National cemetery in May, a concert at Union College in New York, various programs throughout the country and our 150th event at Berkeley Plantation in June. At the Berkeley commemoration we rededicated the Taps monument. The monument, originally place there in 1969 by the American Legion was in terrible need of cleaning and restoration. We raised the money to have the restoration done and now it sits as a reminder of the events that happened there 150 years ago. We had a wonderful response from buglers around the country (getting almost 200 to the Arlington event) and had much media coverage of the events. At the end of this year we had a wish fulfilled as Congress pass a bill making Taps, our National Song of Remembrance. A fitting tribute, this recognition is a truly remarkable and long overdue recognition for the bugle call. Our next project (Taps will always be part of my life) takes place in 2013 as we travel to Erie to present the original manuscript of Oliver Willcox Nortonâ€™s draft of his 1903 book â€œArmy Lettersâ€ to the Historical Society and observe the 50th anniversary of the Broken Note-the Taps performance at President John F. Kennedyâ€™s Funeral. My thanks to the members of the TAPS 150 board who help make this happen. Special thanks go to Les Hampton of Corning New York who served as Vice President and Command CMSgt Ron Glazer of Maryland who served as treasurer. Without there help and guidance if it have been tough to pull this off. You can see much of the yearâ€™s project by visiting www.taps150.org. A sad note that we marked the passing of several fine gentlemen and veterans. Ron Smith, talk show host at WBAL Radio lost his battle to cancer and I was honored to be part of the ceremony remembering him. The bugle world lost Jack Carter, one of this countryâ€™s foremost authorities on bugles and collector passed away this summer. Also we lost Mr. Lou Madonia who sounded Taps for the 100thÂ anniversary of Taps at Berkeley. He returned for the 150th and passed away a few months later. They will be missed. This year I was appointed to the Governorâ€™s Commission on Maryland Military Monuments. 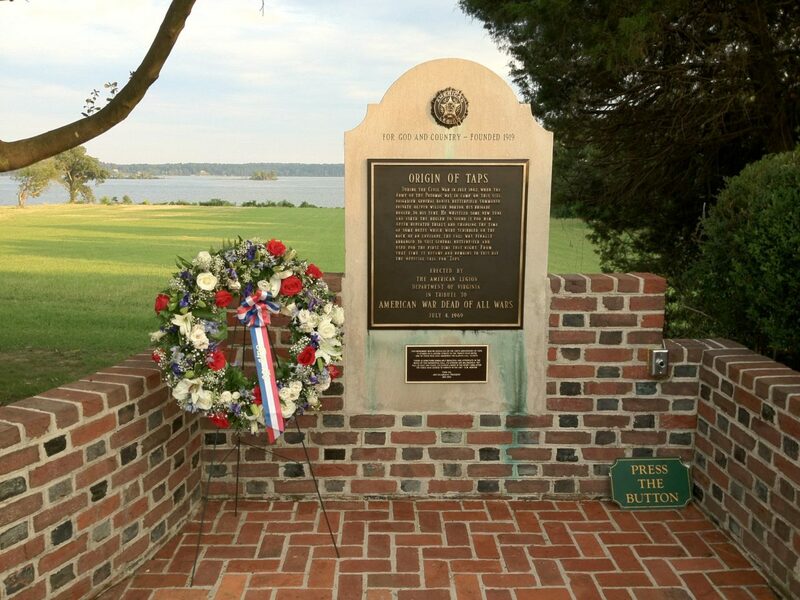 The Commission was created to inventory the estimated 400 memorials honoring Marylandâ€™s veterans and to secure funds to preserve those monuments in need of preservation. My work is cut out this year as we raise funds to repair and restore the monument to General Samuel Smith which stands on Federal Hill. Iâ€™m honored to work with the Secretary of Veterans Affairs, Edward Chow and the many dedicated members who sit on the Commission. Lots of hard work ahead! In July, I traveled to Finland with a brass band Ameriikan Poijat (Boys of America) to do a 19-day tour of Finland. This was the first time I have returned to Finland since my birth and to do so with a wonderful group of musicians made the experience so rewarding. We traveled quite a bit there playing at music festivals and formal concerts. It was truly a great time to be in my homeland and I even visited the town of Karhula where I was born. Heather flew to Finland for the last part of the tour and got to hear us play in Helsinki. This was also quite an emotional time for me as my brother and sisters joined me after the tour to bring my Mother, Annikki, home for good. I carried her ashes with me to Finland and on July 26th we scattered them in the waters near the islands where she grew up. This was followed by a reception in the seaport city of Kotka. Miss Ann is very much missed at this time of year and life today is good because of the great love and support me and my siblings received from her growing up. Through good times and bad, Mom was always there! I miss her much. We also spent time with my good freiends Eddie Hui, Paul Swenson, and Matt Basch at the holidays. Those three young men have been very busy keeping me up to speed on the latest in the computing world and setting up a backup system and server for me. I am grateful for their expertise and help. Throughout the year, Iâ€™ve tried to keep my trumpet chops up by performing in Church for services and playing some trumpet and piano duets with my good friend Helen Beedle. We performed together in Baltimore a few months back and are scheduled to do another performance in Roanoke VA in February. Occasionally I get to play some brass gigs with some great musicians who I call my friends! I also keep my hands in doing a little arranging now and then. I do keep bugling as usual. I sounded Taps at many ceremonies this year as well as sounding Last Post at the annual ANZAC day ceremonies in Washington DC. I sounded bugle calls for a change of command ceremony at Fort Meade and was filmed sounding Taps on Little Round Top for a film that will air on Maine Public TV this coming summer. One of the hardest duties was to sound Taps for a fellow MDDF colleague who passed away suddenly this past fall. LTC Greg Barnhill was a great friend of the Defense Force and will be missed greatly. I play with the greatest Civil War band in the country-The Federal City Brass Band! The musicians in this ensemble play period instruments that date from the mid 19th century, dress in authentic uniforms and perform great music from the Civil War. This past year the band played at the 150th anniversary of Taps at a concert at Fort Monroe, concerts in Washington DC and at Remembrance Day in Gettysburg. It’s always an honor to be with this band. I will have a new (well, really updated) website that will launch February 1st. This www.jvmusic.netÂ I have had this site for many years selling my arrangements and running the Federal City Brass Band site but it has been long overdue for a remake. I have a wonder webmaster who has helped put this together and I plan to spend January working on it in time for the Feb 1st launch. Stay tuned! I have met so many wonderful people in my various pursuits and I wish I could name them all here. A lot of wonderful things happened this past year and I am looking forward to 2013 with great anticipation and child-like eagerness. I am thankful for so much. I wish for you all a great New Year! This entry was posted on Monday, December 31st, 2012 at 6:43 pm	and is filed under News. You can follow any responses to this entry through the RSS 2.0 feed. You can leave a response, or trackback from your own site.